Scientific name: Ormenis mixta (L.) Dumort. 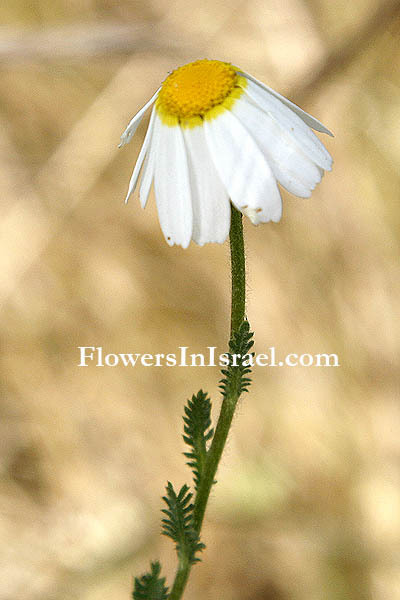 Synonym name: Chamaemelum mixtum (L.) All., Anthemis mixta L., Cladanthus mixtus (L.) Chevall. Chamaemelum, chamai, χαμαι, on the ground, lowly, creeping; melon, or apple which refers to its low growing habit and apple scented foliage. 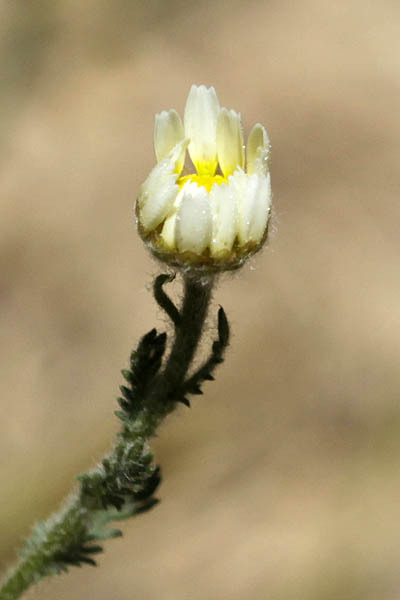 Anthemis, Chamomile. From Greek chamos, "ground", melos, "apple." 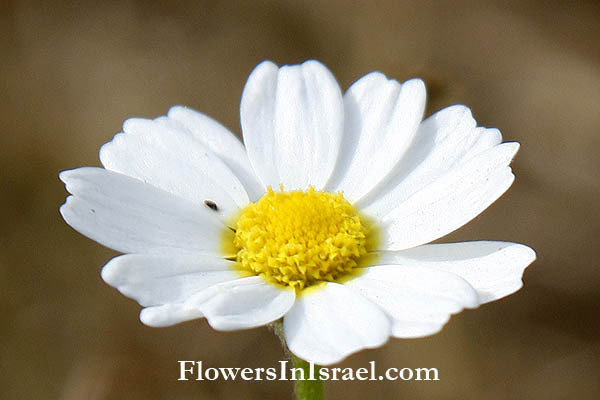 Anthemis is the Greek name for this plant which has a long history, as a flavoring herb and in medicine. Cladanthus, Greek klados, a branch; anthis, a flower; the flowers are at the ends of the branches. The standard author abbreviation Dumort. is used to indicate Barthélemy Charles Joseph Dumortier (1797 – 1878), a Belgian politician and botanist. The standard author abbreviation Chevall. is used to indicate Louis Pierre Désiré Chevallier (1852 - 1938), a French clergyman and botanist.